“50 percent of Mexico is desert,” reads a boy looking at a scrap of paper he just pulled from a mug. “Can anyone tell me what you’d find in a desert?” the teacher asks the class of seven and eight-year-olds. “Camels,” yells out one child. Welcome to Plant Factory, a new vegan based cooking class in Park Slope. 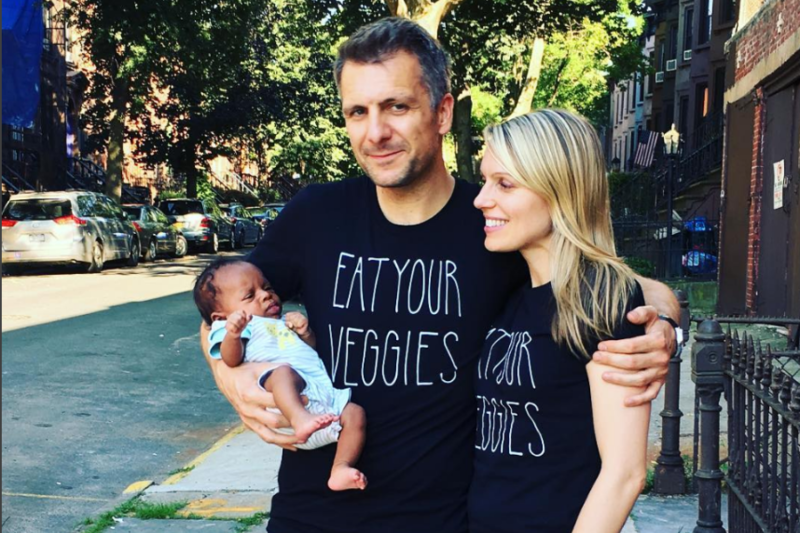 The company has the twin mission of fostering a love of greens in picky eaters in the borough while also using the business to help support NYC foster children and their families. 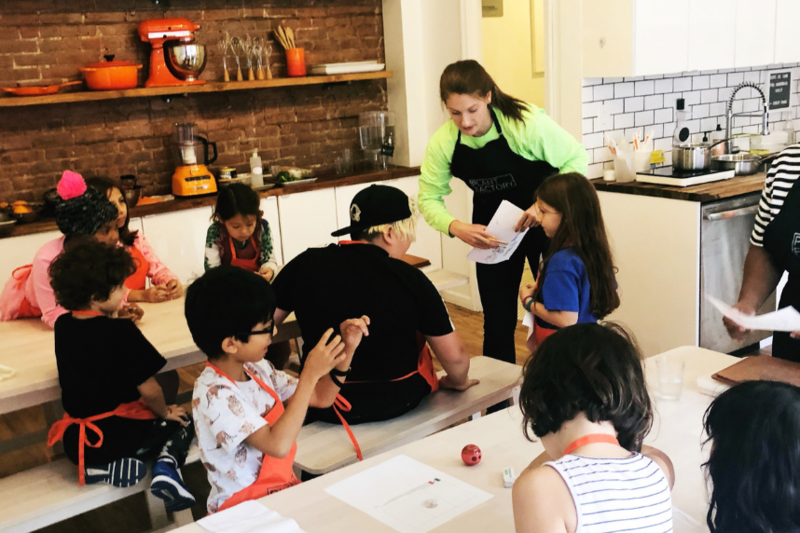 Alicia Hazlett and her husband, Ed Hallaby soft-opened their “food lab” over the summer and launched their full-scale line up of afterschool programming, birthday parties, and family cooking classes in the fall. All this while caring for a newborn baby. Needless to say, they have a real passion behind the project. Hazlett’s and Hallaby’s backgrounds are in finance, and they’ve found that invaluable for setting the groundwork for opening the business. 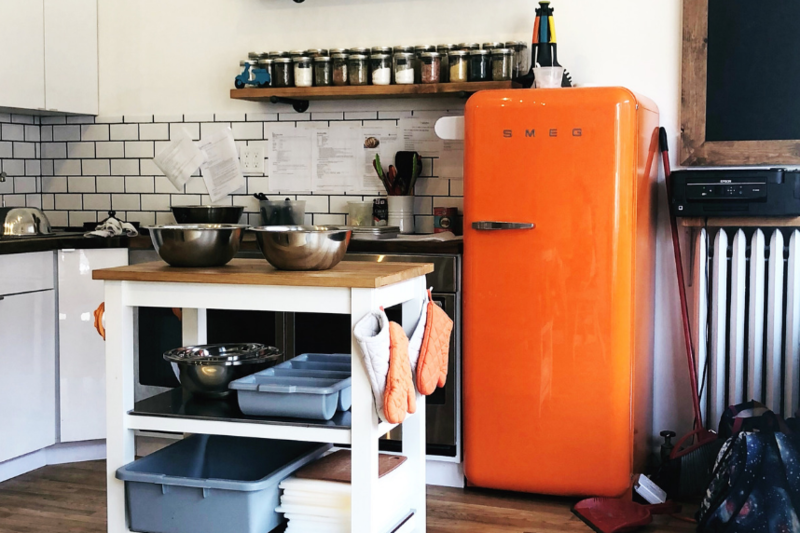 For the rich cooking curriculum, they have relied on education consultants to form content that is engaging, educational and fun. 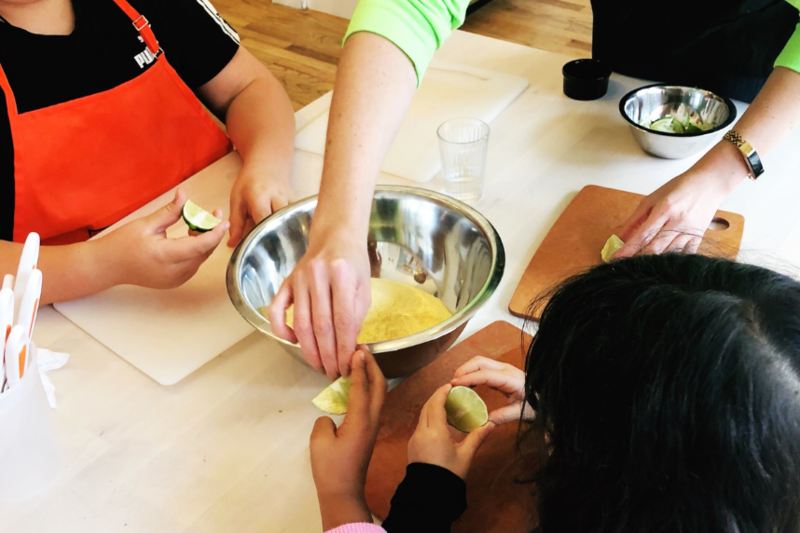 “Our classes are, of course, anchored around developing culinary skills, however, we try to make the session more engaging by taking the students on a journey,” Hazlett says. 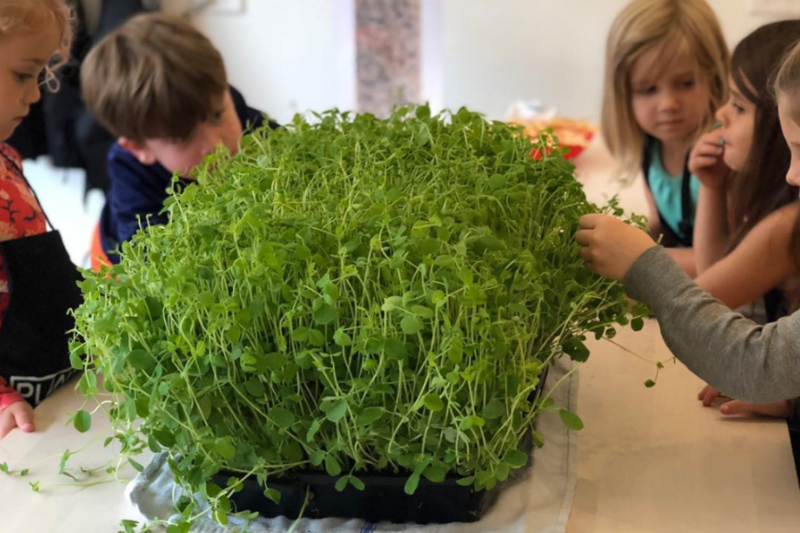 For the “Cooking Around the World” classes, the kids learn about cultural traditions, countries, and regional specialties. They’ve traveled to India to cook samosas, Spain to prepare churros and Mexico for jackfruit tacos, for example. Each class revolves around new vocabulary words, learning a culinary skill like “how to shred,” and specific learning targets. They might start off with coloring a map of the country, then read facts about the country and learn the new vocabulary words like tortillas, masa harina or Aztecs. The classes are kept small with only 8- 12 kids and 3 teachers. “Safety is the most important thing at Plant Factory,” Hazlett says. “Whilst it is simple to implement certain changes, such as child-friendly knives and cut resistant gloves, we have also worked hard to introduce teaching methods that enhance the amount of attention children get when we are giving out certain instructions.” Children also stand on dots in a circle around the kitchen, in their own space, which seems a good precaution for the kindergartners who take the class. Rules include not playing with the cutting boards or knives when you aren’t using them. Plant Factory, 447 6th Avenue, Park Slope. After school classes sold in monthly blocks (4 sessions $199). Pick up available at many local schools. Demanding Workload? Hire a Brooklyn Per Diem Attorney! 5 Simple Ways to Add a Little Luxury to Your Summer!